Cancun is about remembering and seeing something familiar for the first time. Cancun is about all the little things that add up, and that you can finally look back on. A Cancun vacation is about the first time and the last time, and the Park Royal Cancun has an entire staff not only happy to help guests to remember, but happy to have guests back. Just 200 meters (219 yards) from shopping, dining, and entertainment at Cancún's signature La Isla Mall, this resort is also next to a Mayan ruin 500-800 years old. The Park Royal Cancun has 289 luxury guest rooms and beach that seems to go on forever. Also offering, 3 swimming pools, a toddlers' pool, a waterslide, 2 restaurants, 2 snack bars, a swim-up bar, and daily activities are among the amenities included in the Park Royal's room rates. The Park Royal Cancun takes special care to provide engaging entertainment, live performances and everything from Karaoke and Dancing to Bingo. Kids get crafts, superheroes, organized beach adventures and as much time to play as they can possibly ask for. Watersports include Scuba, Snorkeling, Kayaks, Hobby Cats, Sunfish Sailboats, Pedal Boats and Windsurfing, all available on the beautiful Nichupté Lagoon. On the hotel grounds, guests take part in Pool Aerobics, Beach & Pool Volleyball, Beach Soccer and Physical Training & Conditioning as well as plenty of interactive games and mixers. Nearly always open, La Veranda Restaurant is the heart and soul of the hotel grounds and one of the most popular spots for mingling and relaxing. A never ending, always fresh buffet is decked out for breakfast, lunch and dinner, and there's plenty of room to relax. Caribbean decorated and ultra-comfortable, La Veranda features views of the pool, the gardens and the entire deck area and there's no limit to the excellent cuisine. A new theme every evening means there's always something satisfying for dinner. El Mirador Italian restaurant serves, nightly, the finest Mediterranean fare in softly lit, fine-dining atmosphere with stunning views of the evening Caribbean while a single violinist laments the close of each vacation day in truly elegant fashion. ""A la carte"" specials need to be described, carefully, every night by your server, and with plenty of wine and a desserts buffet to tempt even stalwart dieters, it's a delicious way to spend an evening and a follow-up capuccino is mandatory. 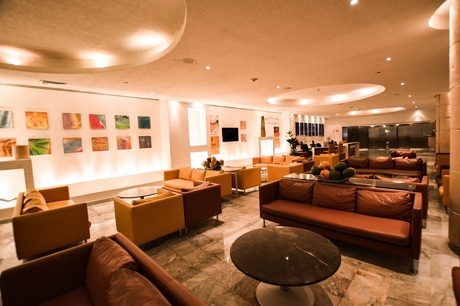 With plenty of comfortable seating and drinks, the Park Royal Lobby Bar is a great Welcome Home. With two large TV screens, it's a nice night cap and a traveler's central meeting point. A favorite with kids of every age, the snack bar is good for all day refreshments. On the deck of the upper pool, La Duna allows guests to relax while enjoying one of the Caribbean's most heart warming ocean views. It's also just above the children's activity area and provides a quiet but nearby retreat for parents. A pool side and swim-up bar, it's one of the real hubs of the hotel. Serving bottomless kids' drinks too, it's a frequent meet-up point and a shady spot for mid-vacation planning. 11:00 a.m. to 12:00 p.m. & 4:00 p.m. to 6:30 p.m. When the main dining room of La Veranda closes you can enjoy a continental breakfast or lighter afternoon fare on the patio. 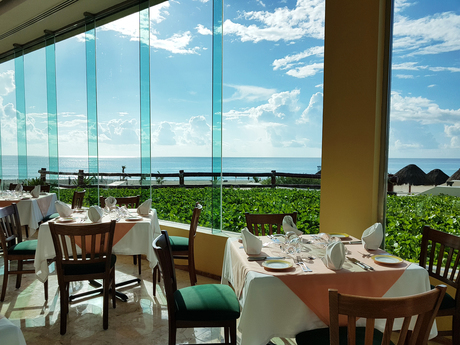 Park Royal Cancun is proud to announce that it was recently awarded the Distintivo H Award by the Mexico Department of Health & Tourism which recognizes a high standard of proper food and beverage handling, preparation and care. 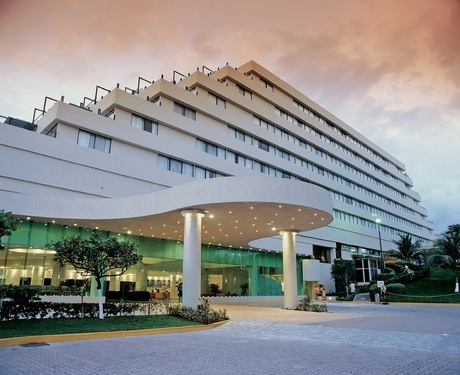 Park Royal Cancun Fraccionamiento is an amazing Cancun lodging choice for your trip to Mexico. 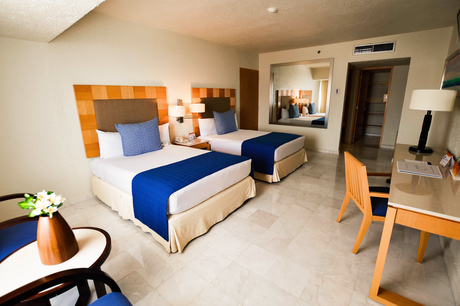 With numerous amenities for guests such as car rental, children's play area, beachfront, you will wake up at Park Royal Cancun Fraccionamiento feeling excited every day for your time in Cancun. Don’t let this amazing reservation opportunity pass you by, book your stay at Park Royal Cancun Fraccionamiento today to make the most of your time in Cancun, Mexico.